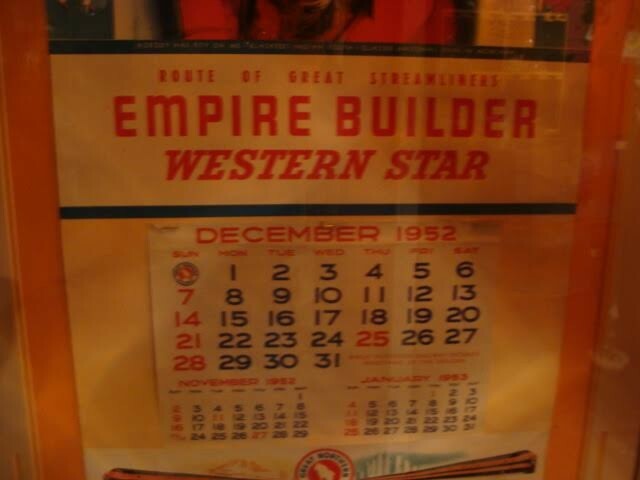 Here is an original “The Great Northern Railway” Advertising Calendar. corner of the portrait, either by him or someone else. It is a large professionally framed piece. Approximately 32” X 19” inches. 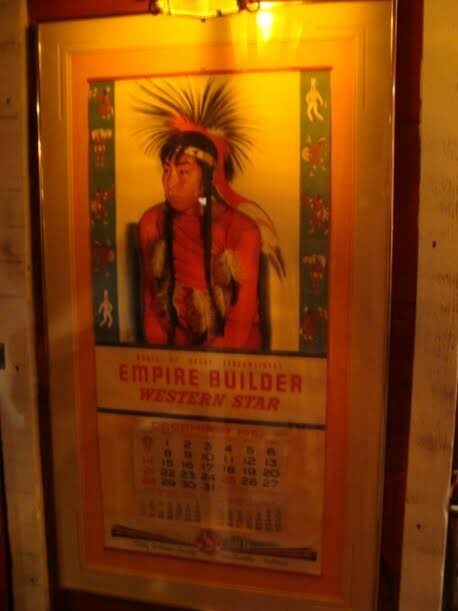 (These original Advertising Calendars are highly collectible and also bear the Great Northern Railway ‘Logo of a White Mountain Goat’ that is believed originated with an Native American Blackfeet Artist John L. Clarke, whose Blackfeet name was “Cutapius” = “the Man Who Talks Not” –John was born in 1881 in the remote town of Highwood, Montana Territory to a Scottish/Blackfeet father, Horace and Margaret First Kill, the daughter of of a Blackfeet Chief. John at age 2 had 5 of his brothers died of Scarlet Fever and he survived but was left deaf and mute. He attended several school for the deaf as a child and was taught wood carving at St. Joseph’s School for the deaf in Montana). 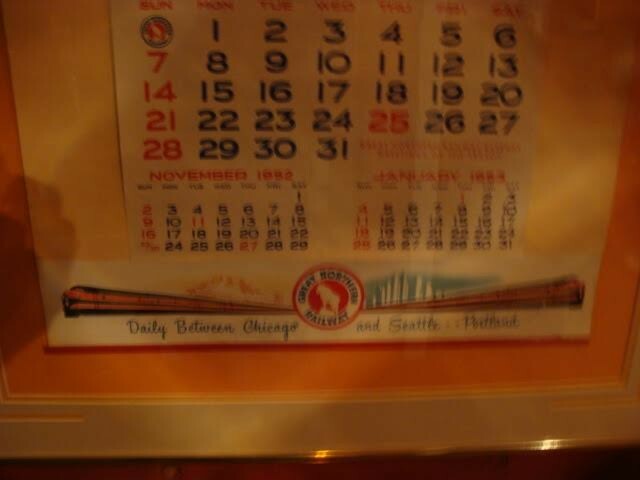 Here is an original “The Great Northern Railway” Advertising Calendar. It is dated 1952 and it features a famous Montana Nation Blackfeet Boy named “To be Pitied” from the Browning Indian Reservation. The famous Native American Artist for the Railway was Winold Reiss, his Native name was Beaver Child. Winold Reiss’ name is written in ink in the bottom right corner of the portrait, either by him or someone else. It is a large professionally framed piece. Approximately 32” X 19” inches. (These original Advertising Calendars are highly collectible and also bear the Great Northern Railway ‘Logo of a White Mountain Goat’ that is believed originated with an Native American Blackfeet Artist John L. Clarke, whose Blackfeet name was “Cutapius” = “the Man Who Talks Not” –John was born in 1881 in the remote town of Highwood, Montana Territory to a Scottish/Blackfeet father, Horace and Margaret First Kill, the daughter of of a Blackfeet Chief. John at age 2 had 5 of his brothers died of Scarlet Fever and he survived but was left deaf and mute. He attended several school for the deaf as a child and was taught wood carving at St. Joseph’s School for the deaf in Montana). Please email cowboycabin@centurytel.net with questions or call 406 270-2842.